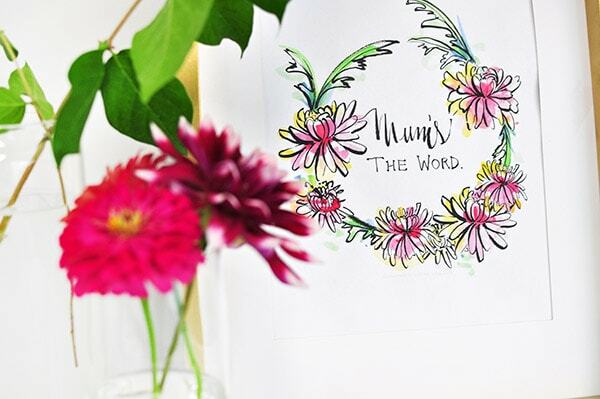 INSIDE : Download a colorful Mum’s the Word FREE Fall Printable! Perfect to hang in your home this autumn season. I love printables and when Ella from Ella Claire mentioned she was hosting a Fall Printable hop, I knew I wanted to participate! I love how simple printables make decorating your home for each season. I have a wall full of clipboards in my dining room and it’s the perfect place to show off all my seasonal prints! 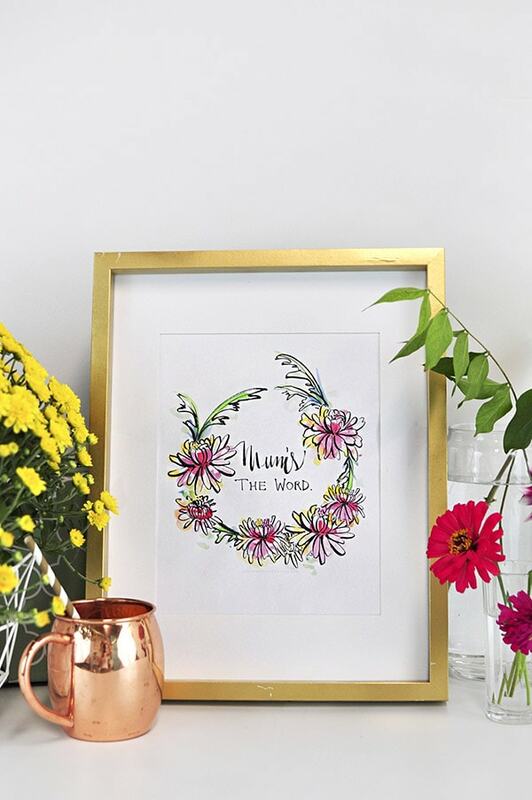 Today I will be sharing my clever Mum’s the Word FREE Fall Printable and read to the bottom to see all the other gorgeous ladies’ prints! When the weather starts to cool and fall is on it’s way, the first flower you start seeing pop up at your local plant shops and nurseries are Mums! This year I am embracing lots of bright colors and I love that Mums come in so many cheerful colors! The yellows, fuchsias and whites are my favorites. 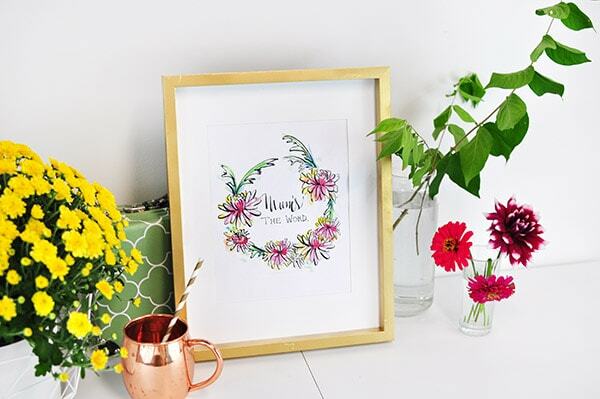 So I incorporated those colors into my Watercolored Mum print. My ideal way to decorate and celebrate fall is simply bringing in plants from the outside! A few thing branches from a small tree in the backyard and some colorful Zinnias and my table is set. 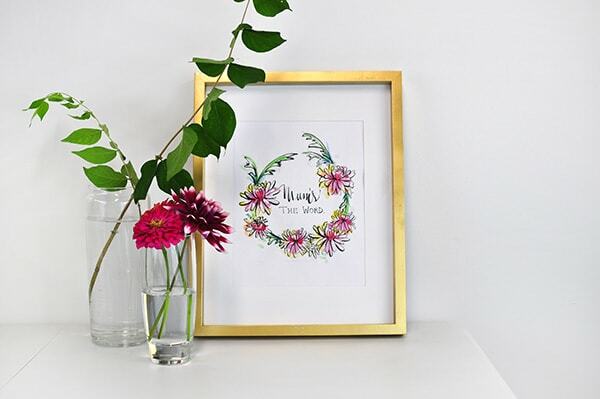 Add in this simple Mum print with a gold frame and you have an easy, affordable fall vignette! And click below on the links to see all the other ladies’ gorgeous fall prints! this is so cute!! Thank you for sharing it! Your blog is full of beautiful inspiration! 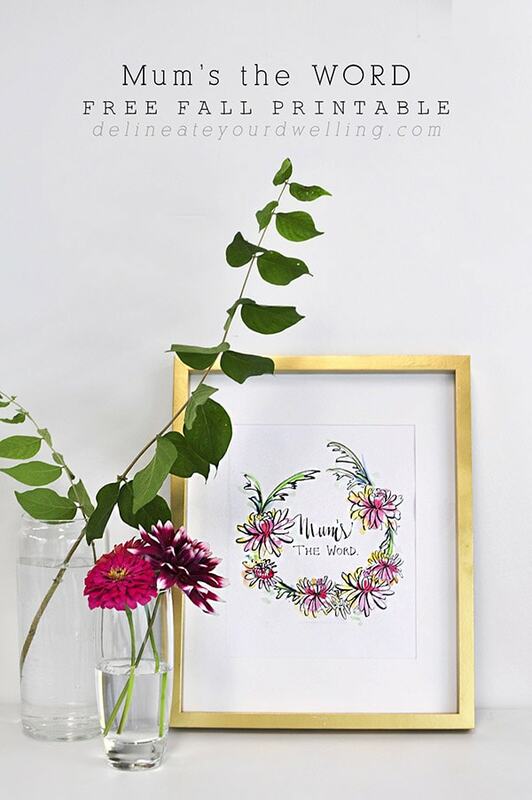 Such a cute printable! I love the way you styled it! Oh thank you so much, Andrea! Well thank you for the stumble and pin! 😉 Have a great day. Love the colors, Amy! Darling. 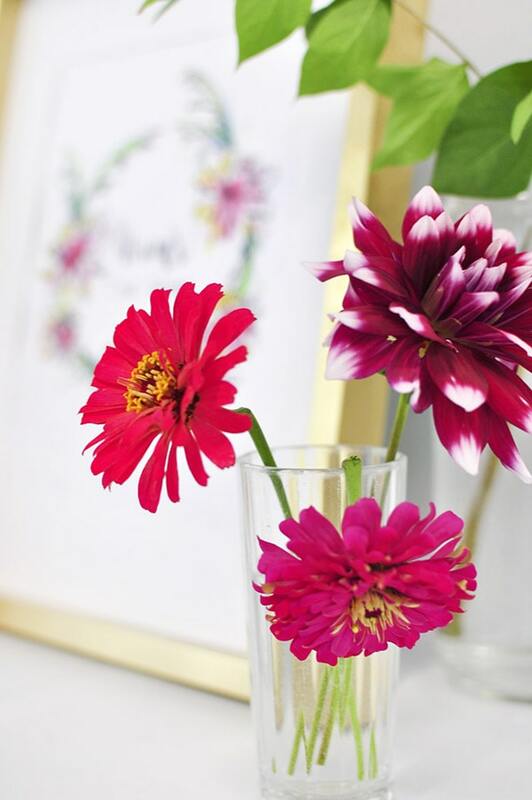 Ah Zinnias are just the best! So smart to plant them in your cutting garden!